The K-12 Presidents’ Council represents 57 CUPE locals in school districts across British Columbia. CUPE represents more than 27,000 education workers including: Education Assistants, School Secretaries, Caretakers, First Nations Support Workers, IT Workers, Strong Start Facilitators, Trades and Maintenances Workers, and Bus Drivers. We strive to protect quality public education for all. BURNABY – The Ministry of Education announced this week that nominations are now open for the 2019 Premier’s Awards for Excellence in Education. The government has added another category, Outstanding Support – School Community for support staff. This award is eligible to CUPE members who work as bus drivers, crossing guards, student supervisors, aboriginal cultural facilitators, custodians, maintenance/tradespeople, and clerical workers. Education assistants and Aboriginal support workers are eligible in the Outstanding Support – Teaching Assistant category. The criteria for both awards include contributing to a healthy, safe and productive school community; creating an engaging and exciting environment; building collaborative relationships with other education professionals; and supporting students. Full details on categories and how to nominate someone are available online. Nomination forms are also available. 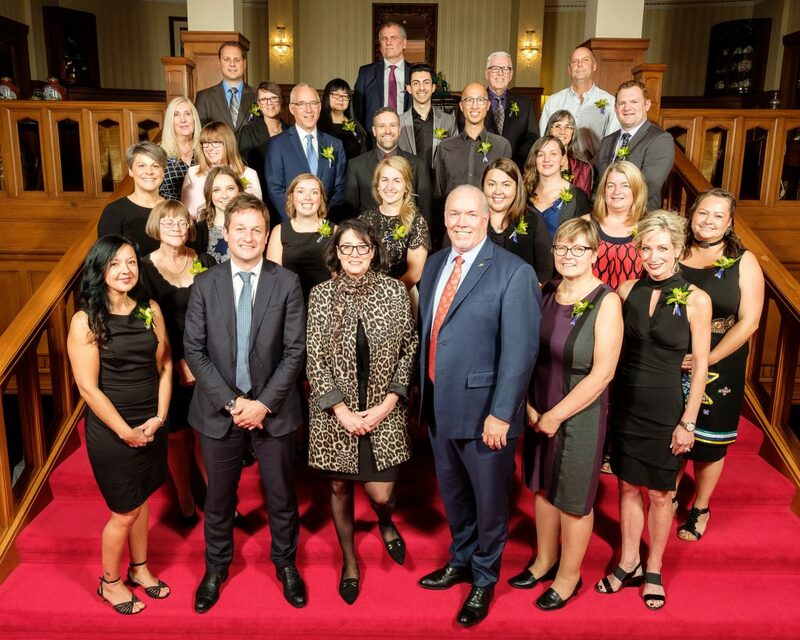 The Premier’s Awards for Excellence in Education were created to recognize the contribution and celebrate teachers, administrators and support staff who make a difference in B.C. schools and who are “vital to the cultural, economic and social well-being of the province.” Nominations close on March 31, 2019. BURNABY – As part of a province-wide K-12 Presidents Council campaign to build public understanding of the services CUPE members provide and their importance in public education, the union’s K-12 members will be featured on movie theatre screens throughout B.C. during this year’s winter break. Landmark Theatres will carry the 30-second animation from December 7 to 31 and Cineplex Theatres will feature the animation from December 21 to January 4, 2019. Click here for the list of cinemas. And catch these superstars on your own screen! Meet the first CUPE K-12 finalists in the Premier’s Award of Excellence in Education in videos produced by the Ministry of Education. This year marks the first time that support staff were included as an Awards category. Winner in the Outstanding Support category is Jeannine Lindsay, a CUPE 439 member who works as an Indigenous Support Worker at Lake Trail Middle School in Courtenay. 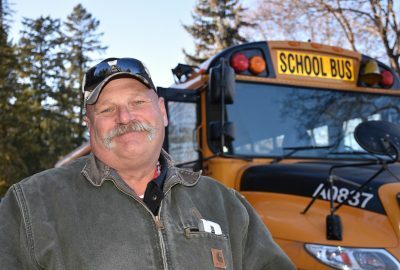 Other support staff finalists were Richard Morgan, a CUPE 523 member and Custodian at Penticton Secondary School (Pen-High) and Jackie Grypink, an Educational Assistant and CUPE 5523 member at Hillview Elementary School in Vernon. Find a more in-depth interview with these superstars on the bcschools.cupe.ca website. Over the coming months, the K-12 Presidents Council will be rolling out Phase 2 of its cost share campaign, which will create public awareness and address workload and violence/safety issues. Finalists in the Premier’s Award of Excellence in Education Awards photographed with the Premier, Minister of Education, and Lieutenant Governor. CUPE members are Outstanding Support award winner Jeannine Lindsay (second row, far right) and finalists Jackie Grypink (second row, second from right) and Richard Morgan (back row, far right). Lindsay (see video here), a CUPE 439 member, works as an Indigenous Support Worker at Lake Trail Middle School in Courtenay. 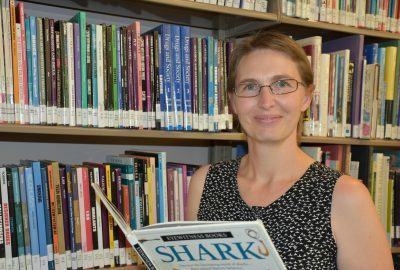 She was nominated for the award by CUPE member Deborah Storey, a library clerk at the school. As well as the actual award, Lindsay received a cash award of $3,000 for professional development that she is using to attend an indigenous education conference in Edmonton in November. Her school also receives a $2,000 contribution to their school community for professional learning. One-third of the school population is indigenous at Lake Trail Middle School. 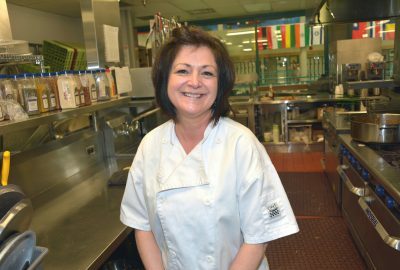 Coming out of high school, Jeannine became a cultural resource worker helping to integrate culture into the classroom. She talked to students and demonstrated jingle dancing, her traditional dance, and taught students how to make dreamcatchers and what they meant to her Anishinaabe culture. Lindsay took First Nations Studies at Vancouver Island University to learn more about West Coast indigenous culture. This year is the first time ever that a category for support staff was included in the Premier’s Award of Excellence in Education Awards. Awards were announced at the ceremony on October 5 where the Ministry of Education showed videos of the three finalists in each category. Other support staff finalists were Richard Morgan, a Custodian at Penticton Secondary School (Pen-High) and Jackie Grypink, an Educational Assistant at Hillview Elementary School in Vernon. 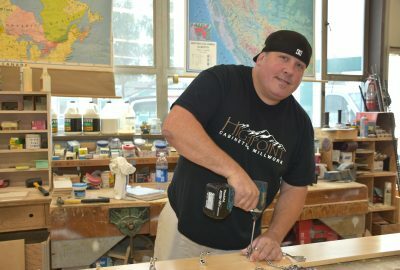 CUPE 523 member Richard Morgan (see video here), a Custodian at Penticton Secondary School, was surprised and pleased that a custodian was a finalist. 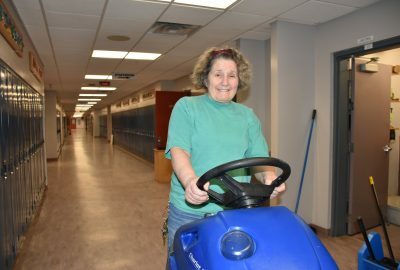 Morgan has worked as a custodian for 25 years. In Penticton he has been involved in a lot of activities including coaching at KVR Middle School, helping coach girls’ soccer at Pen-High, and refereeing soccer on weekends. Morgan’s philosophy is to empower students so that they feel that the school is their school. He cares about students and finds ways to make a difference for them. He worked with one special needs student by taking him to the grad lounge to play ping pong for ten minutes at a time. 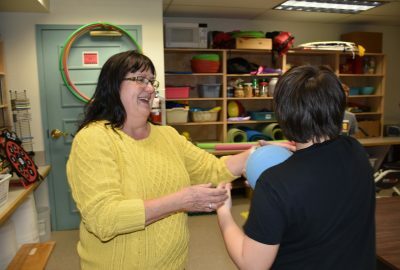 Not only did that give the student a break when he needed one, it helped the grade 12 students see how to interact with a person who has special needs. Morgan got to know most of the kids currently in Pen-High from KVR Middle School where he worked until he was laid off when daytime custodians were cut. He believes that middle school is the most challenging because of the high energy and the maturity level of the kids. “When I first applied for the job at KVR, all the windows were smashed, hallways were noisy and there was litter and garbage everywhere,” said Morgan. Staff, including teachers, administrators and support staff really worked together to change that school. 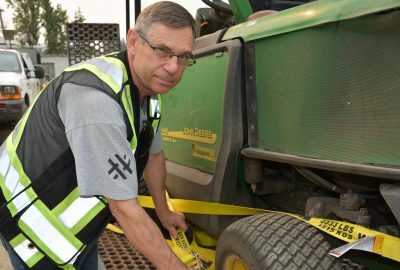 Morgan is an active CUPE 523 member and credits CUPE courses and education as still helping him today. “When I worked in North Vancouver at SD #44 I was able to take advantage of CUPE schooling in Shop Stewarding and conflict resolution. I still apply that training in my workplace today,” said Morgan. CUPE 5523 member Jackie Grypink (see video here) has been an Education Assistant for 24 years and thinks it’s great that support staff were included in this years Premier’s Award for Excellence in Education. “I think that support workers should be included because we are a huge part of our education system,” said Grypink. She enjoys working with kids at a K-7 grade school with “a wonderful staff and administration.” Grypink enjoys seeing students succeed – making goals and accomplishing them. Grypink thinks that one of the challenges in education is that there are not enough EAs or Indigenous Support Workers in school districts and that more need to be hired. 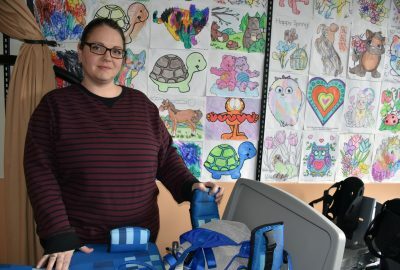 “We have so many kids out there with needs of varying degrees and levels that we definitely can use more support workers for the kids,” said Grypink. Grypink hopes that they add in one or two more categories for support workers. “I was just honoured to be nominated,” she said. CUPE BC Secretary Treasurer Trevor Davies attended the Awards Ceremony. RICHMOND — The K-12 Presidents Council voted this week to recommend the provincial framework agreement negotiated with the BC Public School Employers’ Association (BCPSEA) in mid-July. CUPE locals will table the provincial framework agreement with their proposals in bargaining with their respective school districts. The current K-12 agreement expires on June 30, 2019. When ratified by CUPE locals and school districts, the provincial agreement will be in effect from July 1, 2019 to June 30, 2022. BURNABY — A tentative agreement was reached between the K-12 Provincial Bargaining Council (PBC) and the BC Public School Employers’ Association (BCPSEA) late Wednesday evening on a provincial framework agreement for K-12 support staff. Details on the tentative agreement will not be made public until the K-12 Presidents Council has the opportunity to meet and review them. If recommended and passed by the K-12 Presidents Council, the tentative agreement will form part of local bargaining proposals when locals begin bargaining with their respective districts. When Princeton teacher, Shirley Low, developed a project for her Grade 3 social studies class on mapping ten years ago, no one had any idea what it would grow into. The class embraced the project to create a plan for a community garden and then wanted to actually build it. 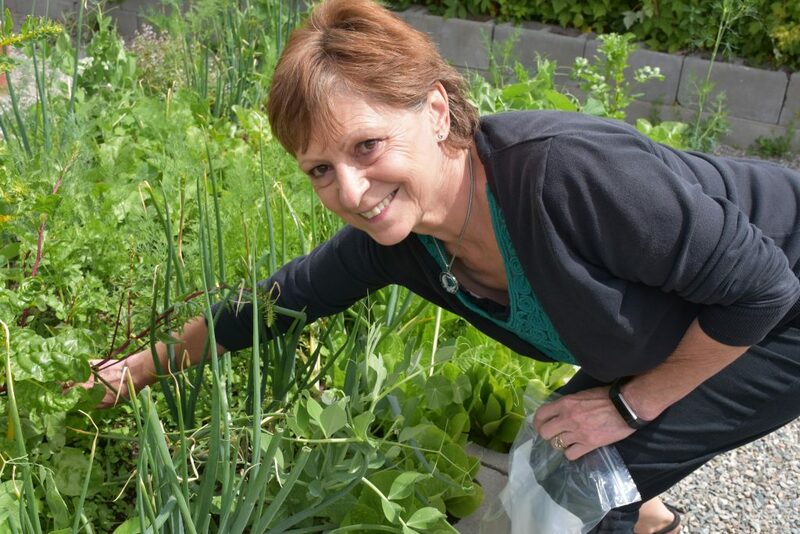 Gardening angels like CUPE member Marie Anne Roche, school secretary at John Allison Elementary, also helps out by doing financial accounting for the garden. 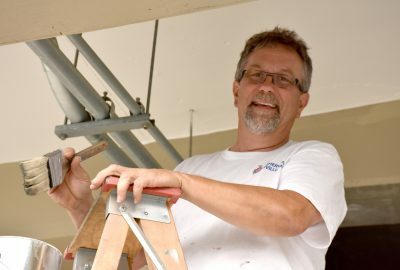 Right from the beginning, CUPE members were involved and active in making the project a success, volunteering their time and making donations. CUPE member and school secretary, Marie Ann Roche, does the garden’s financial books. Education assistant, Leslie Kemp, collects organic waste from classrooms and takes interested students out to the garden during her lunch break. They add the collected organics to the garden compost and spend time watering and weeding. CUPE 847 President, Lynda Hodgson, head custodian at the school, donates compost from her ranch. CUPE maintenance worker, Mark Howarth, is also integral to the garden. He takes care of the irrigation and blows out the lines in the fall so they don’t freeze, clears the snow from the garden entrance to keep it accessible in the winter, and helps clean up and maintain things throughout the year. “Without the community and all the help from volunteers who work at our school, this wouldn’t have come together,” said Low. Members of the community were part of the garden from the early planning stage. The community, CUPE members, and parents got involved to help the kids raise money, donate goods and services, and then build the garden. Focusing on healthy living developed into “Kitchen Kids”, a program for students to learn how to cook the food they harvest. Low has produced and sold four cookbooks to help fund the garden. The John Allison Community/School Garden, situated beside the K-3 school in Princeton, has flourished to include individual plots for each class and Strong Start, plus an outdoor classroom area where Mason bees thrive and children learn about the bees’ role in food production. The school recruits “gardening angels” from the community, including CUPE members, who come in during the summer and take care of one of the plots – pulling weeds and watering, as well as harvesting what’s ready. Each gardening angel takes one class during the school year and teaches students how to garden, from preparing the soil and planting, right up to the harvest. As part of the school’s gardening club activities, kids come in and Low or one of the gardening angels tours them around the garden, where they taste all the food. Low notes that kindergarteners really like the chives and strawberries. Each fall the school hosts a Harvest Celebration. Garden produce is harvested and Kitchen Kids cook up a big batch of butternut squash soup for the school and the community to enjoy. K-12 hits the big screen in B.C. BURNABY — K-12 education support workers will be featured on movie theatre screens in Cineplex theatres throughout B.C. 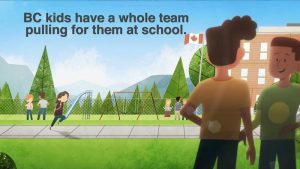 starting on Friday, June 29, thanks to an animated spot promoting the important services they provide. 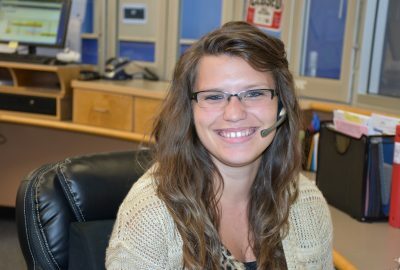 The 30-second animation features “Rachel” and some of the CUPE members she comes into contact with throughout her day at school. Featured CUPE workers include an education assistant, custodian, clerical worker, trades person and bus driver, who along with other education support workers, make great schools possible. The K-12 Presidents’ Council represents 57 CUPE locals in school districts across British Columbia. CUPE represents more than 27,000 education workers including: Education Assistants, School Secretaries, Caretakers, First Nations Support Workers, IT Workers, Strong Start Facilitators, Trades and Maintenances Workers and Bus Drivers. 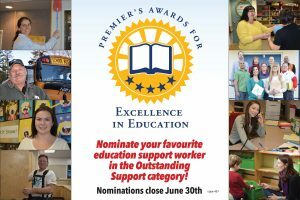 The deadline for nominations for the Premier’s Awards for Excellence in Education is Friday, June 30. This is the first time ever a category for support staff in public schools has been added to the awards. The “Outstanding Support” category is open to support staff currently working in the K–12 public school system (i.e. bus drivers, crossing guards, student supervisors, educational assistants, aboriginal support workers, custodians, maintenance, and clerical). 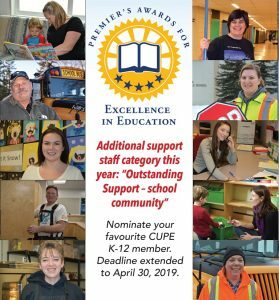 Get more information and nominate your favourite CUPE K-12 member in the category of Outstanding Support on the BC Government web site.